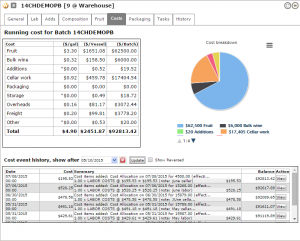 Starting with grower/estate fruit costs, Vintrace winery production software utilizes a console to maintain contractual costs tied to a grower/vineyard/block on a weigh tag, applied as fruit comes in with additional logic available to hit bonus payments for yield, quality, brix, etc. – automatically! Those fruit costs are immediately available in the ‘Costs’ tab, Fruit category (with appropriate login permissions), displayed in the Block Overview, Seasonal tab, and via standard reports in Excel for reporting or additional analysis. 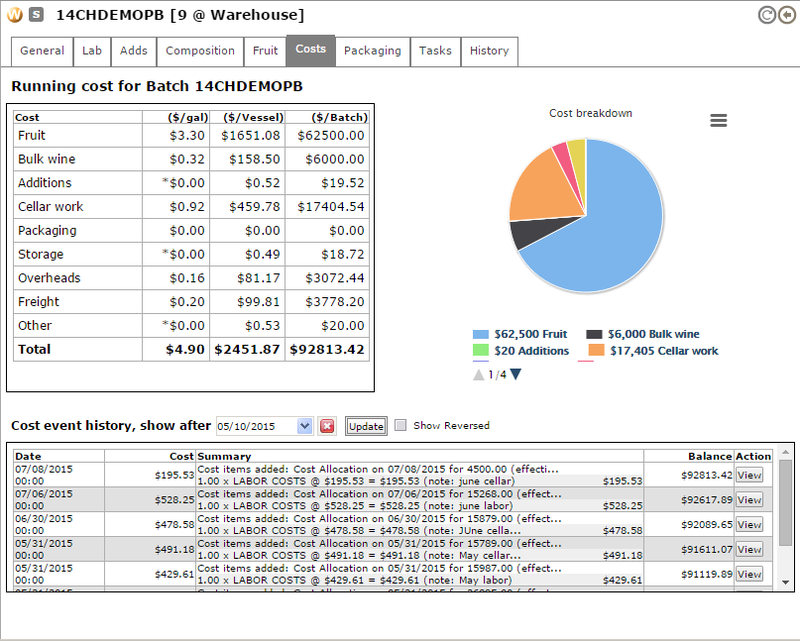 The main concept is this category of costs are applied AS the fruit arrives, i.e. instantly – no weigh tag tracking, no searching through paper contracts, and easily available in report format for management with a few clicks as often as needed WITHOUT additional production crew involvement. I don’t know about you, but for some of the wineries I’ve worked at/run prior to Vintrace, this was an onerous task, often performed daily, that we likely saved until the end of the day when all fruit receivals are in and we’re dog tired but looking for numbers and data equaling significant opportunities for errors!